If you live in Europe or the US, the idea of a Disney family holiday is probably a non-plus. However, for us South Africans the idea of one of the most sought-after family holiday experiences requires careful planning and a few key decisions. The first of course being, "Euro Disney or Disneyland in Florida?" 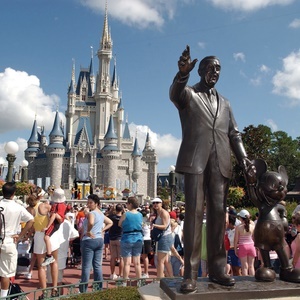 Obviously, many would consider Walt Disney World in the US the ultimate experience. An iconic holiday experience - longed for by most children and even some adults filled with childlike wonder – but which to choose first, is a question that has perplexed many a fantasy-loving traveller. Is one more unique or better than the other, if at all? According to various comments from those who have been to both, the US Disneyland experiences have "much more atmosphere than the one in Europe". A big factor of course being the showcase "fireworks shows and displays", they say. Although, Euro Disney does seem to get a thumbs up for having good food. Hmmm. One traveller review suggests, "The American Disney's are way way better. Disneyland Paris is ok, but to us there was no atmosphere. There were no fireworks at night, there were no water rides, no Splash Mountain! Everything is much smaller." Another traveller states while Walt Disney World always remains king, they loved the finer detail, non-existent crowds, cheaper prices, and an overall more relaxing park experience" in Paris. If you really want first-hand, from the horse's mouth recommendations though - there is always the oh-so passionate Disney Parks Mom's panel. We kid you not. They exist. And more than that - they respond personally to your questions, within a week. Nice. Off the top, their key advise includes giving you and your family at least 8 months to plan this epic experience, opting for a minimum of five days to make the most of it, as well as insider, on the ground info such as using the likes of Undercovertourist.com crowd calendar to estimate, with uncanny accuracy they say, crowd levels on a scale of one to 10. Read more about the Disney moms panel here. To summarise, here are a few unique aspects and attractions, plus package deal pricing for either Paris or Florida, to help you make your mind up. 1. It's size. You'll find the entertainment resort in Marne-la-Vallée, about 32km east of the centre of Paris. At 22km² Disneyland Paris is much smaller than its US counterpart - said to be the size of San Francisco, making the rides and experiences more easily accessible. 2. It's smaller size means less queues and that it's possible to do your favourite experiences more than once - even if Disneyland Paris is the most visited theme park in Europe. This is also the place to keep an eye out for the classics, according to Follow Me Away, "Pirates of the Carribean features two drops, a much longer ride, and is a whole lot darker than its Floridian counterpart." 3. Disneyland Paris has great public transport access. But as any South African visiting Europe knows, public transport infrastructure, rail in particular is really well developed across most European cities, making commuting a breeze. Disney's Hotel Cheyenne and Paris Combo for 6 nights from R20 140* pps - including flights - Click here for the full package includes as well as to inquire about per child rates. NB: High season hotel supplements apply for weekend arrivals and stays (Fridays and Saturdays). High season airfare and accommodation supplement apply school holidays, festive season and long weekends. If applicable, prices start from and are based on two people sharing unless otherwise stated, subject to change due to airfare increases, currency fluctuations and availability. Terms & Conditions apply. Meals and drinks not specified and anything of a personal nature not mentioned above. 1. It's size. Depending on which way you look at it, being some 102km² in size means there is just so much more to see and do. It gives spoiled for choice new meaning, with more than one park to choose from in the US and all the magic works being poured out. 2. Disney World ticket pricing could work out to be much better value here as the $/R exchange rate is a bit better than the R/€. Just a bit. 3. Here you can get to experience the latest and best of the Disney World rides, such as Toy Story land and the Star Wars Galaxy's Edge immersive experience. Since there is more than one park, you may just have to return for another visit. From R5 875 per child aged 3 to 9 years. From R6 185 per child aged 10 to 17 years.